Hi! Happy weekend to all players. Toys with shoes is our theme for this week and here's mine. Not all of them have shoes only the princess with pink dress above and the cute princess below with blue dress. Haha! Hinanap ko pa naman shoes ng iba. :D Cute dolls you have there. 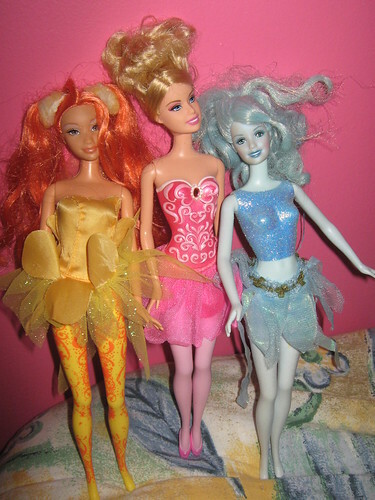 I love the pink fairy princess, cute..
Oh yeah the barbie with shoes.. I was suppose to post Barbie too but some shoes are missing.. anayway.. Have a lovely day Ate Norms!!! if only I have girl toys, Barbie and the likes din ang entry ko..